Description: How sustainable are outcomes several years after water, sanitation, and hygiene (WASH) projects have closed? In this webinar, Leslie Greene Hodel of Social Impact will present findings from an evaluation of the USAID/India Financial Institutions Reform and Expansion–Debt and Infrastructure (FIRE-D) project, implemented by TCG International between 1994 and 2011. FIRE-D worked in partnership with the Government of India on new approaches to plan, design, and finance urban infrastructure. Seven years after the close of the project, the evaluation team used qualitative interviews and municipal water and sanitation access data to examine the sustainability of selected FIRE-D activities. (Read the full evaluation: www.globalwaters.org/resources/assets/in...d-ex-post-evaluation ). Leslie Greene Hodel is a Senior Technical Specialist with Social Impact, playing a senior advisory role to the ex-post evaluation series for the USAID Water CKM Project. She has more than 11 years of experience in evaluation design, management, and analysis in a variety of sectors. Prior to her role at Social Impact she was a Senior Research Program Manager for Emory University's Center for Global Safe Water, where she managed a randomized control trial of a school WASH intervention in Kenya. Holly Dentz is a Monitoring and Evaluation Specialist with the USAID Water CKM Project and plays a leading role in the ex-post evaluation series. Holly has over 10 years of experience in evaluation design, management, and analysis of WASH and public health projects. 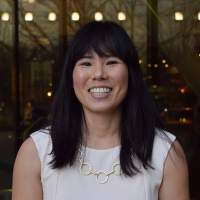 Prior to her current role she was the Research Director for the WASH Benefits Project, where she contributed to the design and implementation of a multi-site WASH and nutrition randomized control trial in western Kenya. The FIRE-D evaluation is the fourth in a series of ex-post evaluations from the USAID Water Communications and Knowledge Management (CKM) Project. The series is implemented by Water CKM to help USAID understand whether and how its water, sanitation, and hygiene activity results have been sustained years after projects close, and is intended to help to inform future USAID investments in the sector.